Inland Management Group partners with your Hospitality, Lodging/Resort, Restaurant, Entertainment, Gaming, Winery, Tourism/DMO/CVB, Retail, and Service-related organizations to help navigate through the complex processes of hiring, training, and effectively managing your most important and valuable asset, your employees. We implement Human Resource best practices and procedures with a focus on complying with federal and multi-state labor laws to reduce the risk of lawsuits and penalties. Our clients include non-profit and for-profit startups, expanding organizations, to progressive Fortune 100 corporate multinationals. Comprehensive Strategic Recruitment Procedures and Processes. Job Analysis, Job Descriptions, Job Postings. Risk Management (Safety Programs and Training, IIPP). Operational Procedures, Policies, Form and Checklists. Operational Efficiency Review, Audits and Management. This informative series addresses the challenges of Workplace Customer Service, Recruiting, Human Resource Management, Harassment, and Motivation. 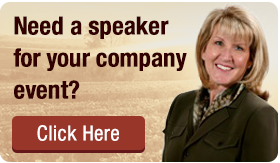 This series offers successful guest rapport tools to create raving fans of your business. This series offers the A-Z’s of Wine Education and Service to increase confidence and sales.